The world of health and fitness can be seen as a very interesting one. The more you learn about both, the better shape you can get both your body and mind in. For this reason, people who have seen the benefits of leading a healthy life may have an increasing interest in health and fitness. If you’re one of those people, perhaps you’re thinking about what you can do with that passion and the best way to help others and monetise your interest. In light of this, you’re going to find a few suggestions for things you can do with a love for health and fitness in this article. If you have an increasing love for meal planning and healthy eating, have you explored the possibility of becoming a chef? People everywhere are looking for inspiration when it comes to whipping up healthy and tasty meals, so think about how you could solve this problem if you’ve got cooking skills. In order to become a chef, you’ll need to be able to make dishes people will enjoy. If you want, you can go the further mile to get training by attending culinary school, however, it isn’t a prerequisite. You could decide to cook at a healthy food restaurant or do so from home. The reality is that the possibilities are endless and you could transform people’s lives through food. For those who lean more towards the fitness side of things, becoming a personal trainer could be more of an exciting path to pursue. Here are three steps you could take to become a personal trainer. Decide if You Have the Right Skills: To begin with, in order to pursue a successful career as a personal trainer, identify whether you possess the right skills. If you’re wondering what those skills are, they include being analytical, patient, persistent, organised, an effective motivator and being able to listen. Get Qualified: Although this isn’t a necessity, getting qualifications to become a certified personal trainer could strengthen your portfolio. If you’re in the Swindon or Bristol area, think about taking the Bristol personal trainer course UK so that you can get an internationally renowned qualification. This could help you get better quality clients as well as see the career progression you hope for. Look for Work: Once you’re ready to get started with your career as a personal fitness, you could look for work in a gym or at a fitness centre. As with any role, the better you are and the more value you add, the more success you’re likely to experience. One of the things that makes sport entertaining is the communities that are built around it. You have different groups of people and fans around the world who are able to share and discuss their common interests in sports, players, and teams. If you enjoy discussing and analysing sports, then perhaps think about becoming a sports broadcaster. To get a career as a broadcaster, you could acquire a degree in broadcasting or communications. You should also get an internship to help you get a feel of what it’s like working as one. Knowing your industry inside out as well as staying up-to-date with what’s trending should take you a long way too. Another idea in terms of things you can do with your passion for health and fitness would be to start a business. There are numerous businesses that you could start no matter what your area of interest is. Here are a few worth considering. Cleaning Business: One of the things that you could do in terms of starting a business in the healthcare sector is a medical cleaning business. Just like any other industry, hospitals and other health-related facilities need to be cleaned. This is especially important as they’ll be dealing with people’s health, so sanitation is crucial. Software Development: Technology is also another important need for health and fitness industries. 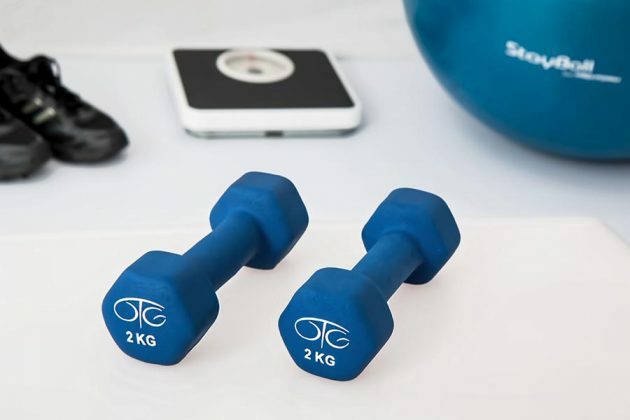 Think about offering software that can be used to make health or fitness businesses run their businesses more smoothly on a day to day basis. Healthy Drinks: Have you ever thought about selling healthy shakes or fitness drinks? This could be a worthwhile business if you get the right product and are able to effectively market your product. If you feel you’re somewhat entertaining and are good in front of the camera, then why not start a vlog? These days, video is becoming increasingly pervasive, so being able to share interesting content through this medium could help you establish a strong career. To start a vlog, you’re going to need a good camera and editing skills. If you have the money, you could outsource this to a professional or look for a freelancer who will do it at an affordable rate for you. To ensure your videos don’t drown in the ocean of content, you’re going to have to invest money in pushing and marketing your content. This could be through the means of paid ads or getting influencers to share your content. If you enjoy talking but can’t stand the idea of being in front of a camera, a podcast may be a better idea. In order to make headway with your podcast, you’re going to need to choose interesting topics that will capture the attention of your target audience. You could start a podcast on healthy lifestyle, or do one on healthy eating and the effects it has on your body and lifestyle. Do your research and find out what types of health-related podcasts are already out there, and which seem to be doing well. Having said that, to create an award-winning podcast, focus on connecting with your audience and making it interactive. This is ultimately what will help your audience grow. An interest in health can be cultivated and moulded into something tangible and lucrative. It’s about identifying needs and being creative about how to solve people’s health challenges with your skills and knowledge.